An admirable blending of the scholarly and devotional elements seldom achieved in academic books. 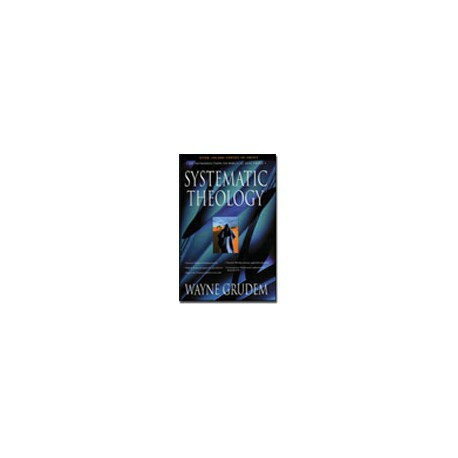 In Systematic Theology: An Introduction to Biblical Doctrine , Wayne Grudem meets the challenge of making doctrine understandable by leading readers through the most controversial and difficult areas of theology with clarity, a thoroughly evangelical outlook and applications for today's Church. Far from being shallow and simplistic, Systematic Theology starts from the premise that most Christians are able to understand the doctrinal teachings of the Bible in considerable detail, provided those doctrines are presented clearly and without the use of highly technical language. With the addition of frequent diagrams, full explanation of terms and frank discussion of the controversies surrounding various points of view, Grudem's Systematic Theology is an excellent resource for anyone desiring to more effectively study or teach theology. •The complete Systematic Theology text with all footnotes, graphics and bibliographic content included. •An add-on English Standard Version translation of the Bible. This is Dr. Grudem's translation of choice. •Enhanced tagging of all verses and internal references, enabling you to go directly to any referenced verse or section within Systematic Theology for further information. •Proper display of Greek and Hebrew throughout. NOTE: The size of this download is 27.6 megabytes . Be sure to allow ample hard disk capacity and download time based on the transfer rate of your internet connection. Please refer to Knowledge Base article 736 for release notes on this product.